Set up your account and be up and running in less than 5 minutes. Guest requests come to you in a clear, simple, written format. yayvalet saves you time by giving you a clear written order that you can read and act on in seconds rather than spending time answering phones and listening to voicemail messages. 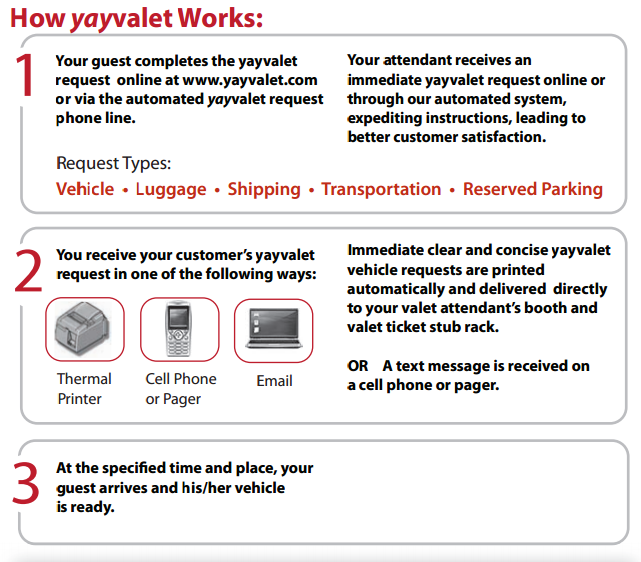 yayvalet lets you focus on your orders and increase the eficiency of your service.